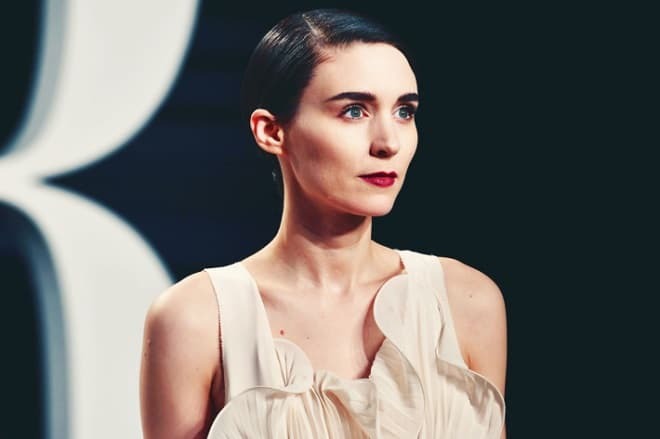 Those who love Hollywood movies are likely to associate Rooney Mara with the movie hit “The Girl with the Dragon Tattoo.” After the movie was released, Rooney awakened and found herself famous. However, few people know that the young woman did not dream of becoming an actress; she was actually afraid of performing on a stage. Patricia Rooney Mara was born in Bedford, the New York suburban area. The girl grew up in a friendly family. Rooney has two brothers Daniel and Conor and the elder sister Kate. Rooney Mara’s family is known in the sports world. Her parents come from Ireland; the ancestors were noble and originated from the ancient count family Down. Rooney’s grandfather from the paternal side was a co-owner of the soccer club New York Giants. Later, his son Timothy Christopher, Rooney’s father, became the vice president of the team with the same name. Rooney Mara was not interested in acting at school, her sister did. As soon as the girl graduated, she traveled in Bolivia, Peru, and Ecuador. It was not a simple journey – Mara took part in a special program aimed at learning the environment. After Rooney returned, she entered the Gallatin School of Individualized Study at the New York University and studied international relations and psychology. At this time, her sister Kate became a trained actress; she finally persuaded Rooney to try acting. She could not have done it at school: her younger sister was afraid of the stage and believed it was too difficult for her. It could not be said that Rooney Mara did not like cinematography. The young woman adored the movies “Gone with the Wind” and “Rebecca”; she also enjoyed musicals. 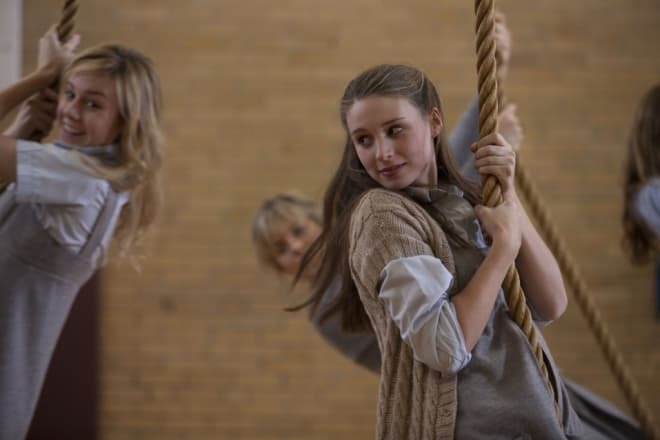 When Rooney appeared on the stage for the first time, she played Juliet in an amateurish performance; it was an eye-opener. Mara was so engaged in acting that it was as easy as a pie for her elder sister to involve her in the horror movie “Urban Legends: Bloody Mary” shooting. The offer to participate in the popular series “Law & Order: Special Victims Unit” followed. Rooney played the girl who had conflicts with law brilliantly. In the same year, the actress played the drug abuser in the movie “Cleaner.” The world of cinematography was drawing Rooney Mara in. Rooney Mara gained popularity in 2010 when the horror remake “A Nightmare on Elm Street” came out on the big screen; she played Nancy. Another project that helped Rooney go down in the history of cinematography was “The Social Network”: she played Mark Zuckerberg’s girlfriend who broke up with him and inspired him to create the most popular social network. Although Mara’s character was secondary, the project director David Fincher remembered the young woman. He invited her to star in his next movie, and it was the right decision. 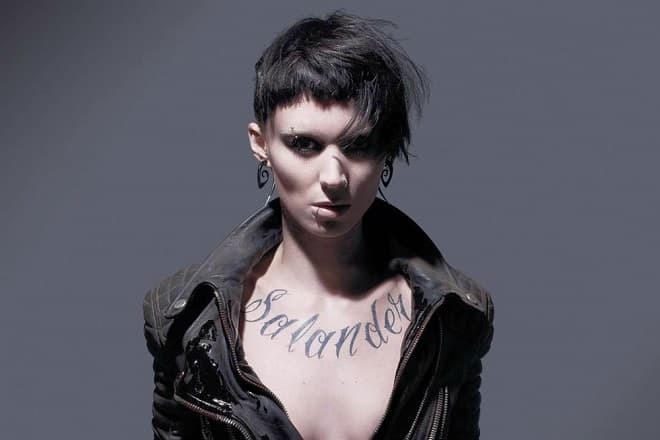 In 2011, after the movie “The Girl with the Dragon Tattoo” was released, the actress gained the world’s fame. Two years before, the Swedish project under the same title came out; Michael Nyqvist and Noomi Rapace played the main characters. The success of the European screen version of Stieg Larsson’s book encouraged Hollywood movie makers to interpret the same plot in their own way. It is peculiar that many famous actresses, such as Scarlett Johansson, Jennifer Lawrence, and Natalie Portman were auditioning for the major part, yet it was Rooney Mara who won. The young woman was authentic as a hacker with a piercing who was involved in a complicated story. The journalist Blomkvist (Daniel Craig) tried to investigate the crimes. This project brought Rooney Mara the nominations for two most prestigious prizes: the Academy and Golden Globe Awards. In 2013, the young actress gained three more projects. In the crime drama “Ain't Them Bodies Saints,” Rooney Mara and Casey Affleck played lovers. The actress also got the leading part in the thriller “Side Effects” where Jude Law was her stage partner. In this movie, Mara represented an unstable young woman who murdered her own husband. However, it was the fantasy movie “Her” that became the most significant premiere of that year. The movie tells the story of the writer Theodore (Joaquin Phoenix) who fell in love with the operation system Samantha (Scarlett Johansson). Rooney played Theodore’s ex-wife. The movie impressed critics while the audience did not get emotional. In 2015, Mara strengthened her position of a Hollywood star with the movie “Carol” where she played Therese Belivet. This movie brought the second Academy Award nomination, BAFTA, and Golden Globe Award, besides, Rooney received Palme d'Or of the Cannes Film Festival and the Australian Academy of Cinema and Television Arts Award. In the next year, the new wave of activity followed. Three large projects with Mara were released: the dramas “Una,” “Lion,” and “The Secret Scripture.” Again, Rooney Mara’s characters were non-standard persons with various psychological issues. Rooney Mara is a compassionate person. The actress does the charity work even though it takes much time. The young woman is not going to quit this activity to spend more time on movies. Mara supervises the charitable foundation that helps orphan children survive in Kenyan slums. 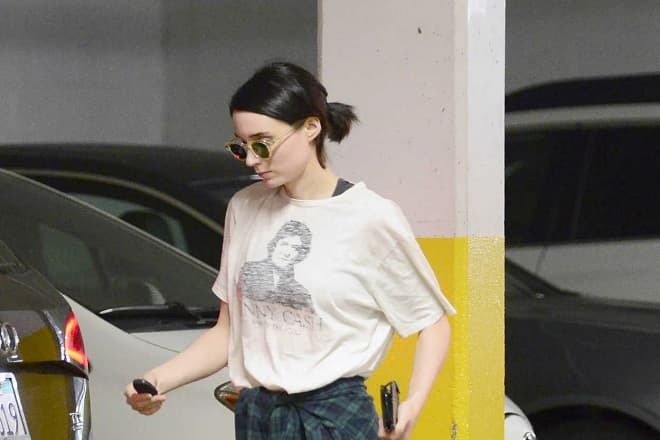 For a while, Rooney Mara’s personal life was kept secret. In 2007, the young woman moved to Los Angeles and lived with her elder sister for a long time. The actresses got close: they were not only sisters but also best friends. In 2010, the press reported that Rooney Mara was seeing the director Charlie McDowell, the son of the actor Malcolm McDowell. The relationship lasted until the end of 2016. At the “Mary Magdalene” movie set, Rooney Mara and Joaquin Phoenix got close. Both actors have extraordinary characters and charm, so they found a common language easily. The couple often appears together on social events. Rooney posts photos of their activities on her Instagram page. Nowadays, Rooney continues to win the world’s fame. In 2017, the drama thriller “The Discovery” came out; Rooney played the young woman experiencing psychological problems. In the fantasy drama “A Ghost Story,” Rooney played the woman whose husband died suddenly but did not leave the world: he became a ghost. The movie premiere took place at the Sundance Film Festival; critics welcomed the project. In the musical melodrama “Song to Song,” Rooney Mara personified Faye who had to choose between two men, the young and poor musician and wealthy producer. Ryan Gosling and Michael Fassbender were her stage partners. In 2018, the premiere of the historical movie “Mary Magdalene” starring Rooney Mara took place. Joaquin Phoenix played her teacher Jesus Christ.